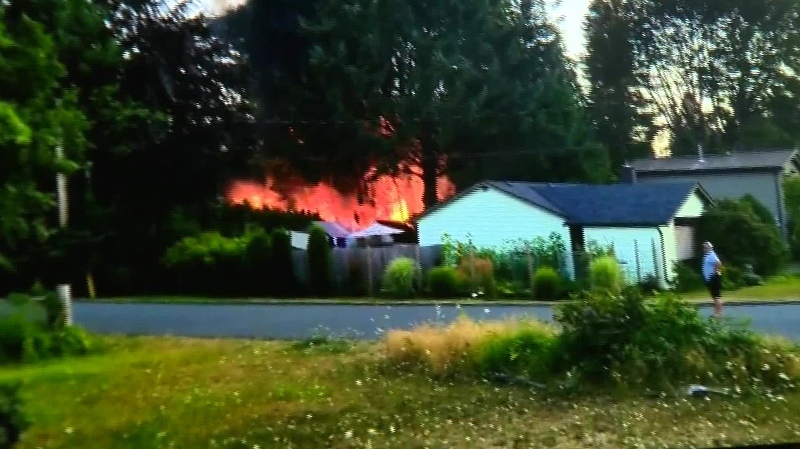 A home was destroyed and neighbouring properties evacuated as a fire broke out in Comox Tuesday evening. It happened just after 8:30 p.m. at a home in the 400-block of Rodello Street. Flames could be seen shooting from the back of the property high up into surrounding trees, prompting a neighbour to alert the homeowner. 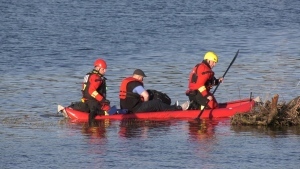 "Thanks to that neighbour, everyone made it out of the house without injury," said Comox Valley RCMP spokeswoman Const. Monika Terragni. Firefighters quickly knocked down the blaze, preventing it from spreading further in hot, dry conditions. 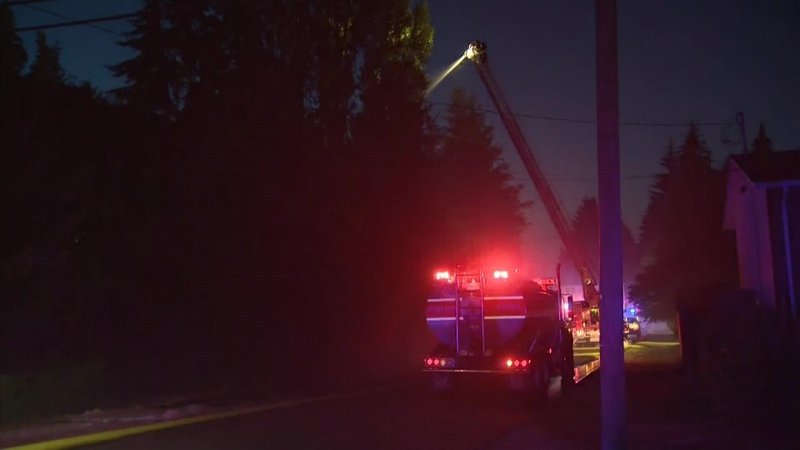 "Certainly the trees went up very quickly this evening because it's been so dry, low humidity right now, and this could've been a lot worse," said Comox Fire Chief Gord Schreiner. Two sheds were also destroyed on neighbouring properties and due to smoke, some residents in the neighbourhood were evacuated. There was so much smoke, it covered the city and could be seen from as far away as Fanny Bay.